Barium chloride Dihydrate is an inorganic, colorless, toxic, and imparts a yellow-green coloration to a flame compound. Barium Chloride (BaCl2) when converting to the dihydrate, becomes Barium Chloride Dihydrate BaCl2 (H2O) 2. Barium chloride Dihydrate has high thermal stability so it does not decompose on heating. When burning Barium chloride Dihydrate with alcohol it gives a yellow-green flame. It is one of the water-soluble salts of barium family. It is used less in the laboratory and industry. Its commonly is used in aluminum refining, leather tanning, pigments and coloring. Barium chloride Dihydrate becomes highly toxic when mixed with water or soluble barium salts. We are supplying Barium Chloride Dihydrate to all parts of India. We are currently supplying to some of the leading companies in India and we give assurance to deliver our products to client’s destination within given time period. 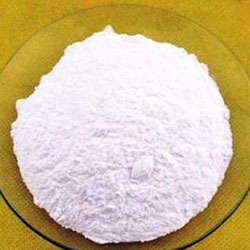 Barium chloride is mainly used in the purification of brine solution in caustic chlorine plants. Used in the manufacture of heat treatment salts and manufacture of pigments. Used in the manufacture of other barium salts. Used in the manufacture of Magnesium metal, ceramics, glass and paper products. Used in fireworks to give bright green colour and is also used in case hardening of steel.